In 1906, Francisco Tonck and his family, arrived in Pucón from Germany. They had direct contact with the Mapuche People which allowed them to learn about indigenous culture, and over the years they obtained many artefacts and information about them. Pucón hotel owners Leoncio Marty Tonck and Elfride Bohn Kaiser, have decided to put together all these objects, which have been kept by Ulloa Metzger family in recent times, and put it on display for public viewing. The aim of this museum is to help consolidate and project the identity of the region and its people. 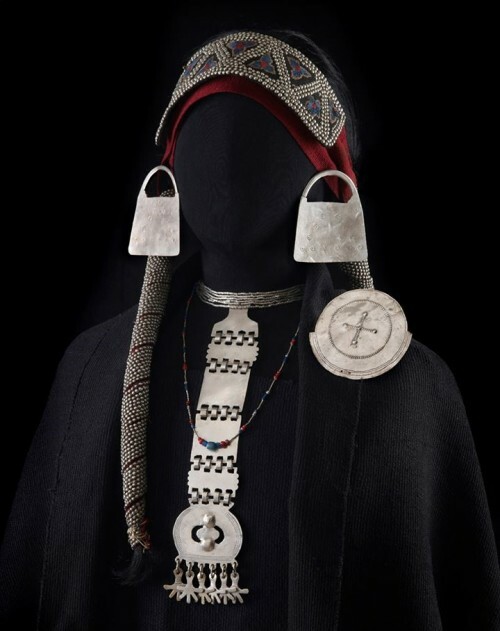 There are diverse forms of cultural expression for the Mapuche people, which are manifested in many ways, including handicrafts, unique designs, and decorations, interpretation of the cosmos, mythology, and religion. All these expressions are steeped in symbolism and representation of their culture, which to date has still has not been sufficiently studied and understood. The types of stone in the region and their texture, allowed the Mapuches to work them into several useful and artistic objects. Chieftain ritual objects, sculptures, masks for rituals, musical instruments, pipes, cutting tools, polishing tools, grinding tools, and perforating tools are the principle objects made from stone. With regards to Ceramics the Mapuches developed their own pottery with several types of design, which have their own particular style and design are different from other types of ceramics in the world. The Mapuche Textiles express numerous concepts and knowledge, and carry important symbolic expression within them. The principle crafts that have been developed from fibres and vegetables by the Mapuche include baskets, nets, spears, thatch roof, Spurs, and Bridles. There are many types of artefacts made from these two materials. From around the 18th century, until the end of the 19th Century, the most well known artefacts of the Mapuche culture were developed. With great artistry and creativity, they adapted this metal to develop their own unique style, fabricating a very particular type of jewellery which is still commonly used today in their cultural events.